I feel like life lately has been full of a lot of questions. I turned 26 the other day (hence a distracted couple of weeks) so I’ve been getting caught up with life admin and not a lot of blogging. Besides that though I’ve spent far too long banging my head against a brick wall and worrying about a whole load of things that weren’t worth my time. So in my last post, I mentioned that I was taking a new approach. Despite being a bit overwhelmed in other areas of my life, I’ve never been more inspired to blog. Why? 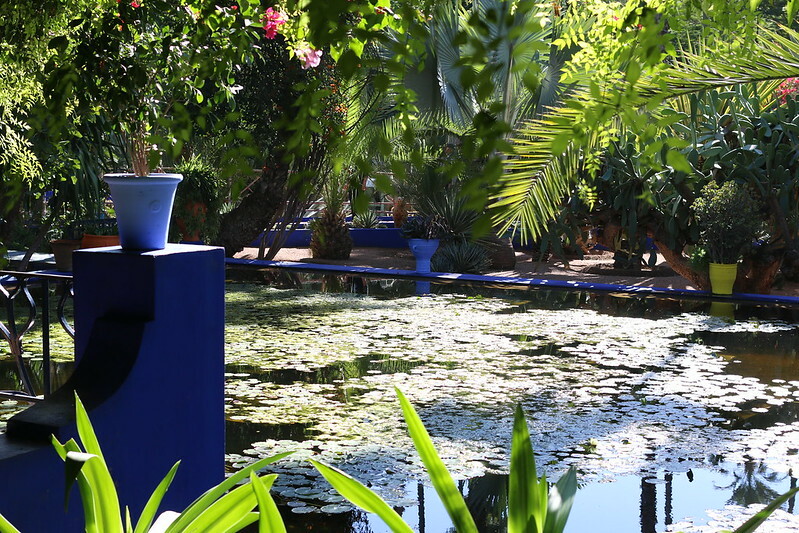 A couple of weeks ago I was invited on the most amazing weekend away in Morocco. And honestly, I could hardly wait to tell you about it! It’s not always that such an exciting email drops into your mailbox. 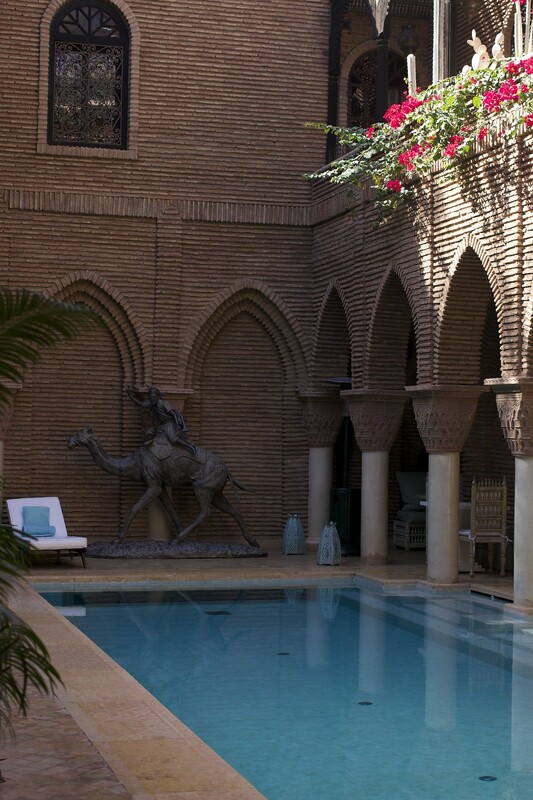 And when someone invites you to Marrakech, to discover the magic of the city, you’re hardly saying no. 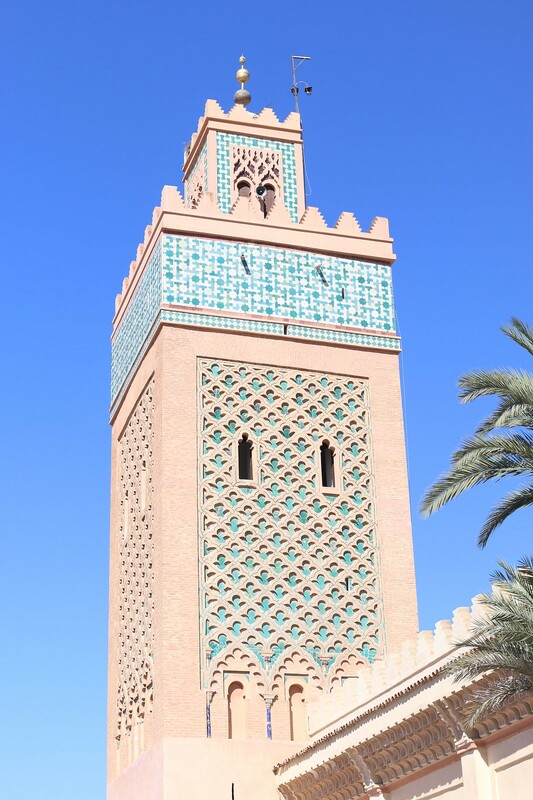 Especially when it’s the National Tourist Office of Morocco extending the invitation. I mean, seriously. Morocco has been a country that I’ve wanted to visit for years now. 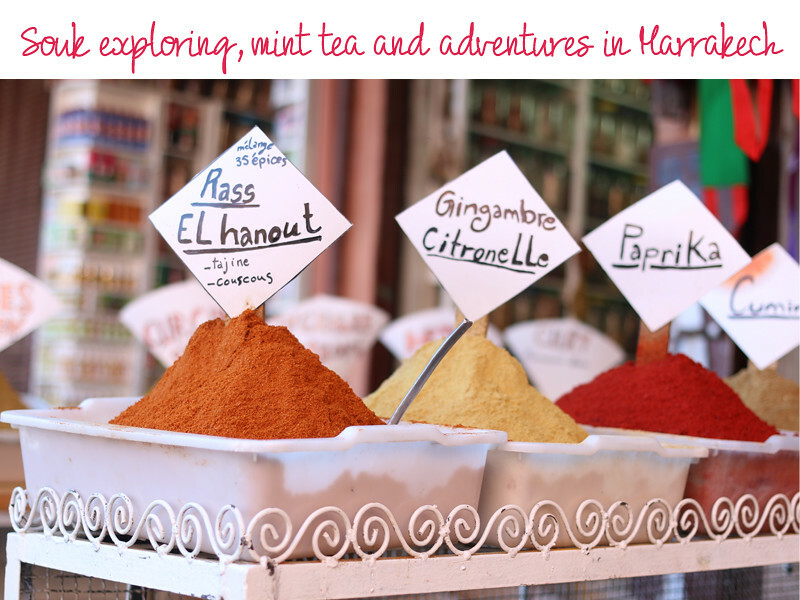 I couldn’t wait for a weekend exploring the sights and sounds of Marrakech with fellow bloggers Matt, Clare and Kit. As well of course as having that little break of sunshine amongst the grey and dreary wintery days. 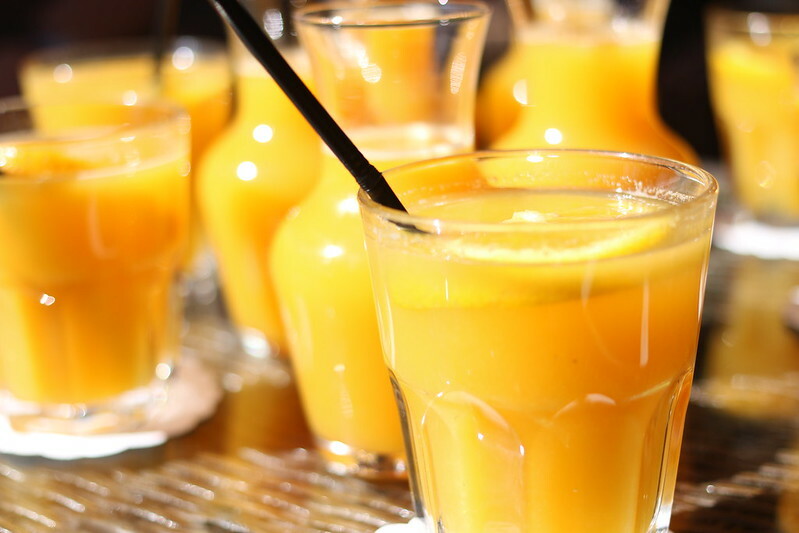 I should probably warn you this is going to be a photo heavy one… so maybe grab yourself a snack or something. Do you ever have this worry that when you visit a place it won’t live up to your expectations? Morocco has been one of those places that I’ve wanted to visit for almost as long as I can remember. So when the invite came, I wondered if Marrakech would live up to the rich colourful place I’d imagined it to be. But stepping off the plane into the hot, spice-filled air, I knew it would be every bit as intoxicating as I had hoped. 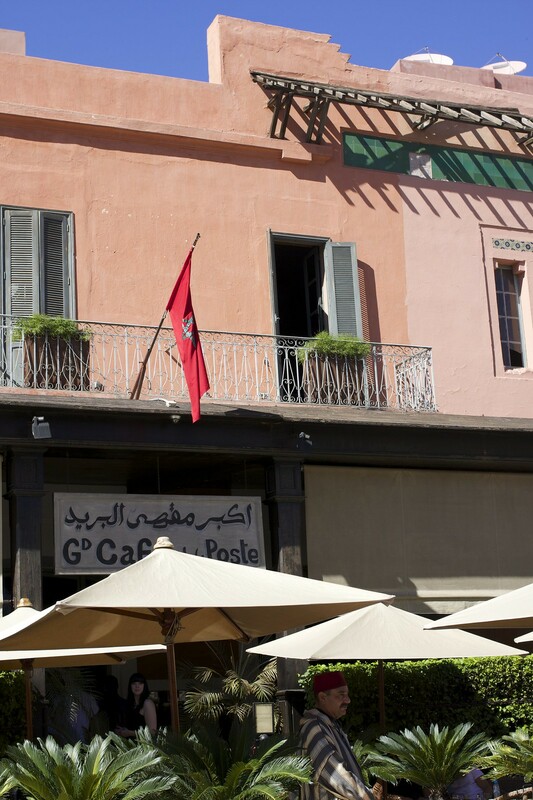 Marrakech is a city of paradoxes. 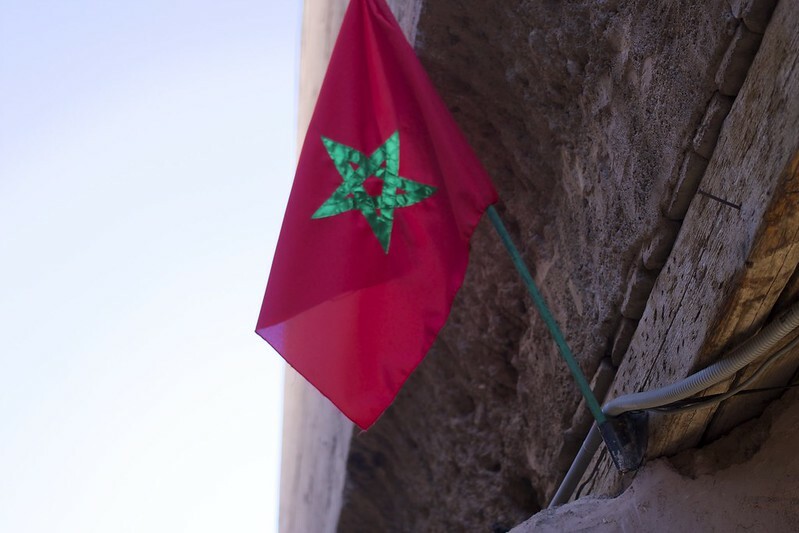 With its history coloured by Berber, Arabian and European influence, the city is a melting pot of culture. With that melting pot, there’s a unique acceptance and tolerance of cultural diversity. One which I don’t think I’ve experienced in any other country in the world. 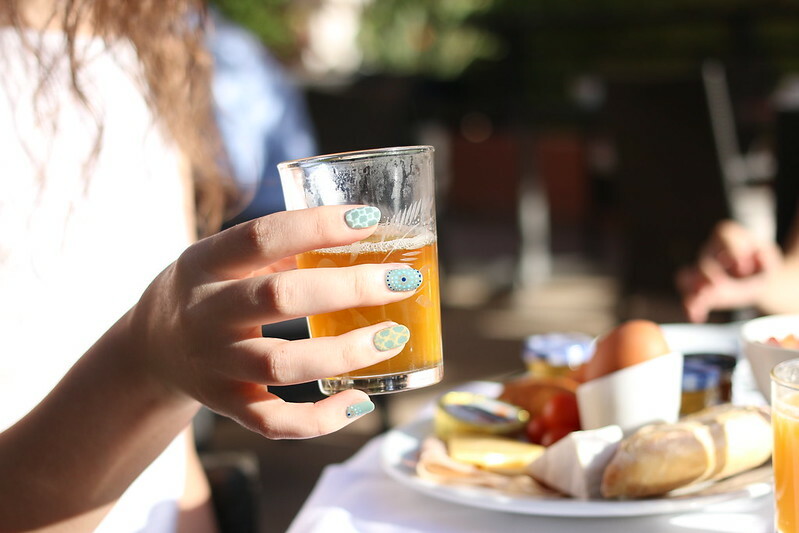 It’s not every day that you’d see devote muslims who will indulge in alcohol. Or see a girl dressed in a hijab sitting kissing her boyfriend in public. The strange influence of their sensual French colonisers has certainly left its mark on the Medieval city. The dry heat from the sun bakes the red clay walls of the city. 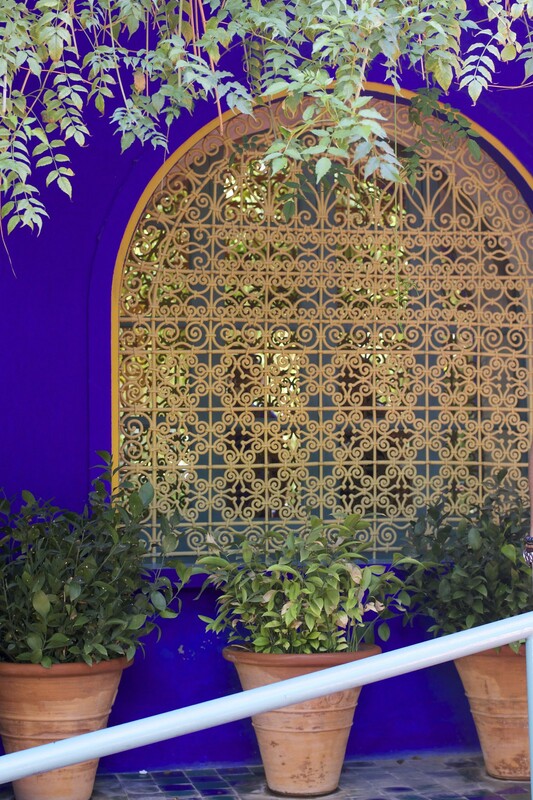 And yet all around the city are lush gardens, like Yves Saint Laurent’s Jardin Majorelle, a beautiful, calming place filled with colour and greenery. 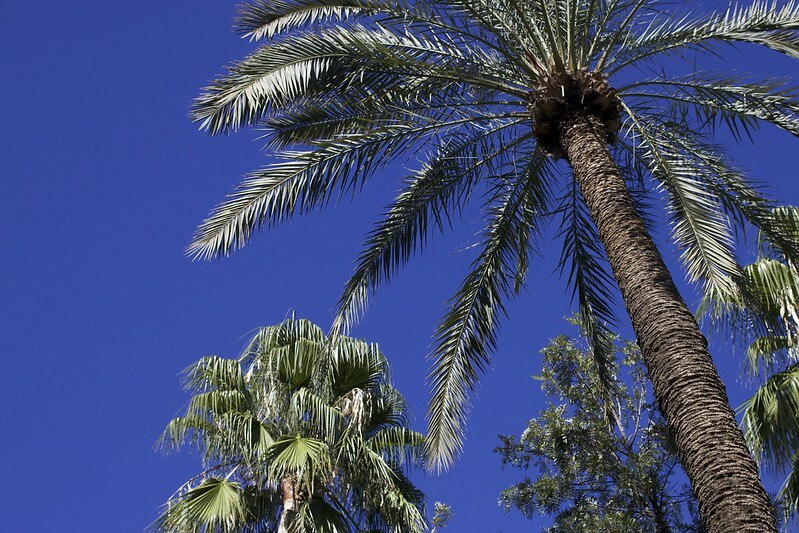 Marrakech is in a lot of ways, a city of extremes. 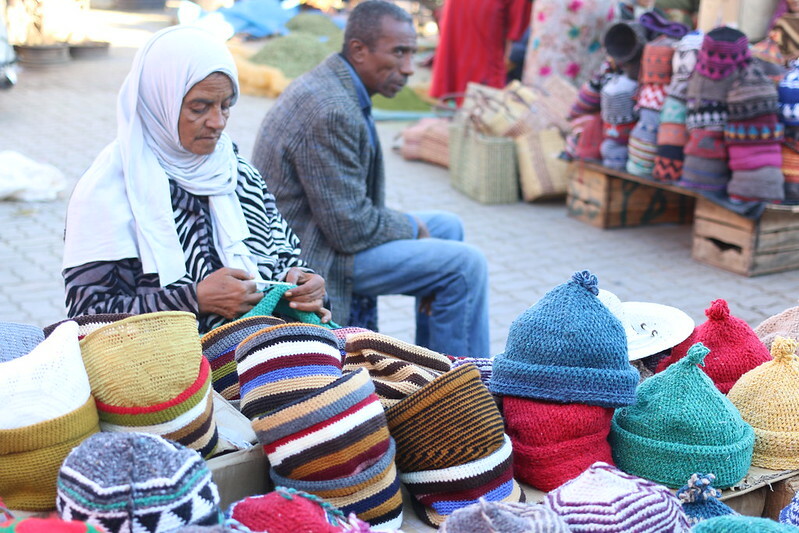 From skilled craftsman plying their trade to Jemma el Fna’s snake charmers enticing tourists. 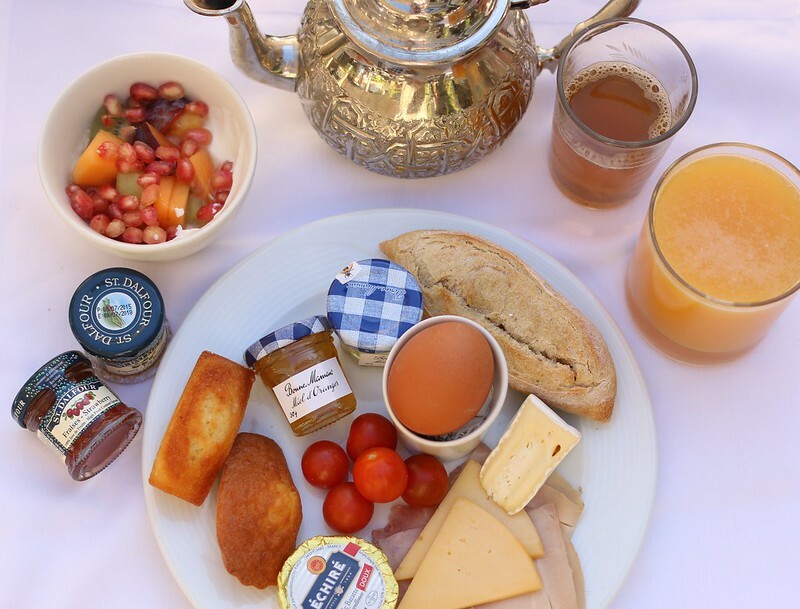 From luxurious riads serving up michelin star food to cheap but renowned street food. 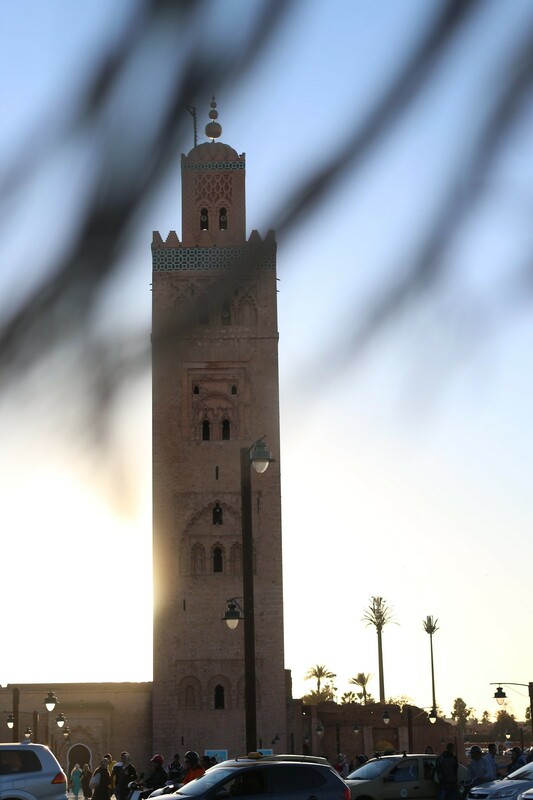 Being a city filled with so much history, it’s hard not to be in awe of Marrakech’s dusty grandeur. Wandering through the medina, I felt like I was constantly twisting and turning my head to take it all in. The heavy scent of the spices and vibrant colours left Newcastle feeling dull and grey in comparison. Inside the medina, it was easy to get lost in the maze of winding passages and amongst the distractions bombarding the senses. Not as easy to take photos while avoiding being ran over or bumping into the steady stream of bodies. 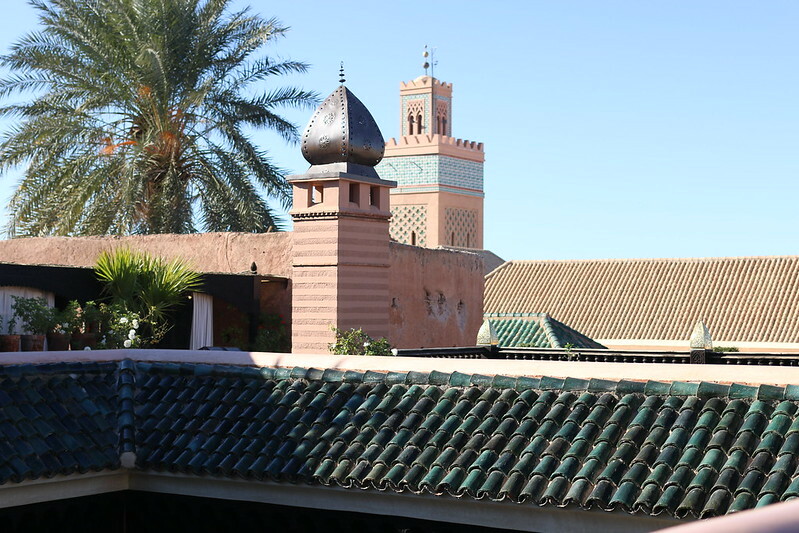 But Marrakech isn’t just a city of hustle and bustle, tucked right in the midst of the chaos overwhelming every sense, are the most beautiful riads. 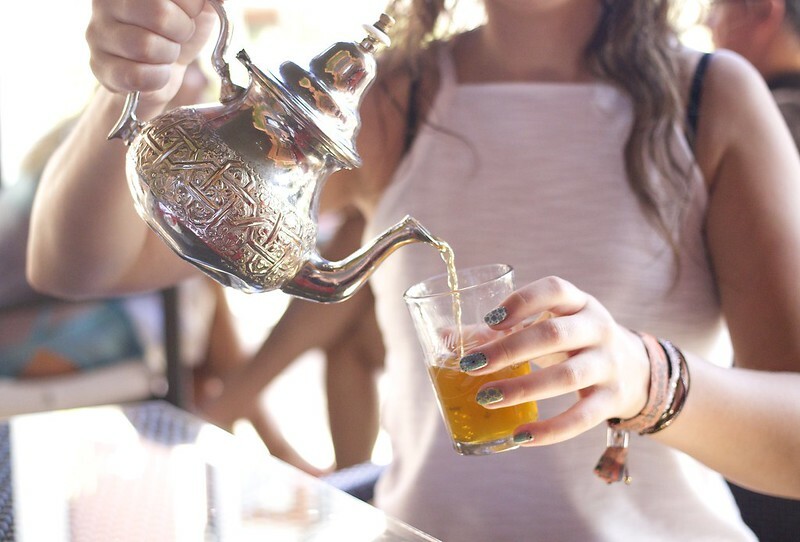 Intricately decorated, tranquil pockets of paradise where you can escape to enjoy tagines and fresh traditional food on the rooftops overlooking the city below. 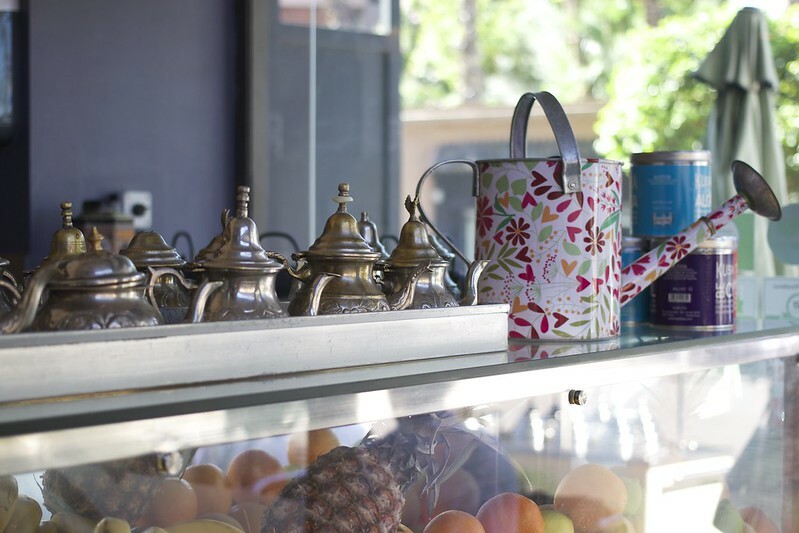 La Sultana is one of those places, boasting the largest terrace of the medina’s golden triangle and 360 degree views of the city and the majestic snow covered Atlas Mountains in the distance. If there’s one thing I’d love to do when I return to Marrakech (because one trip definitely wasn’t enough to really get to know the city), it would be to go visit the Atlas Mountains. Sadly, we admired their grandeur from afar this time, but I’d love to take the Tizi n’Test across the heart of the mountains and see the neighbouring villages outside of Marrakech. 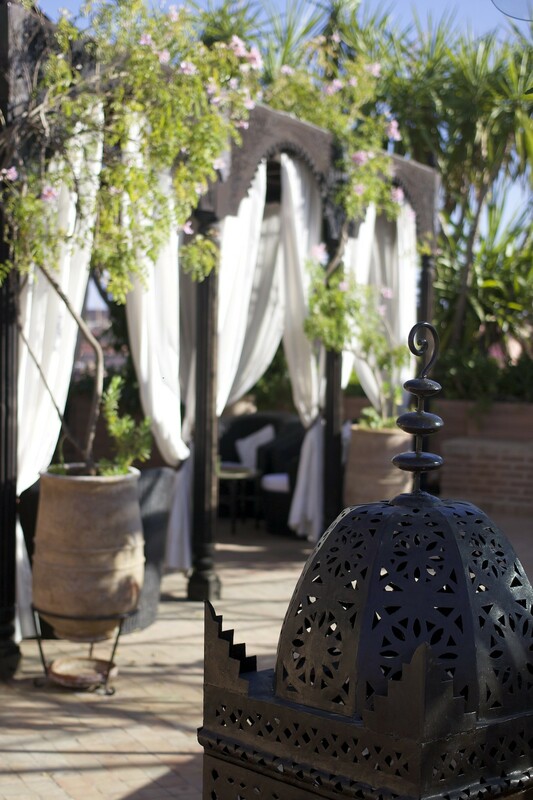 Feasting on amuse-bouches, freshly baked bread and piping hot lamb and chicken tagines, the rooftop terrace of La Sultana feels very far away from the noise of the streets. 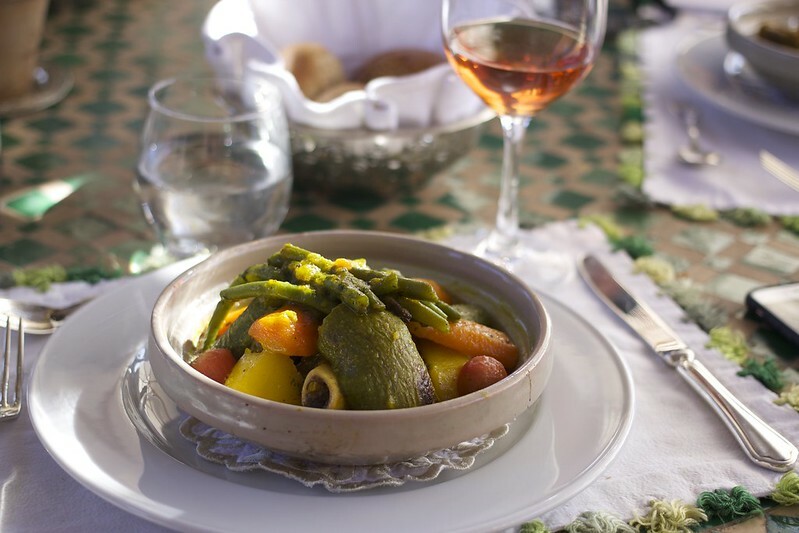 Having only ever experienced Moroccan-inspired cooking, the traditional cuisine was a mouthwatering combination of colour and taste. Delicately spiced and fragrant, each dish we had was rich and moreish. 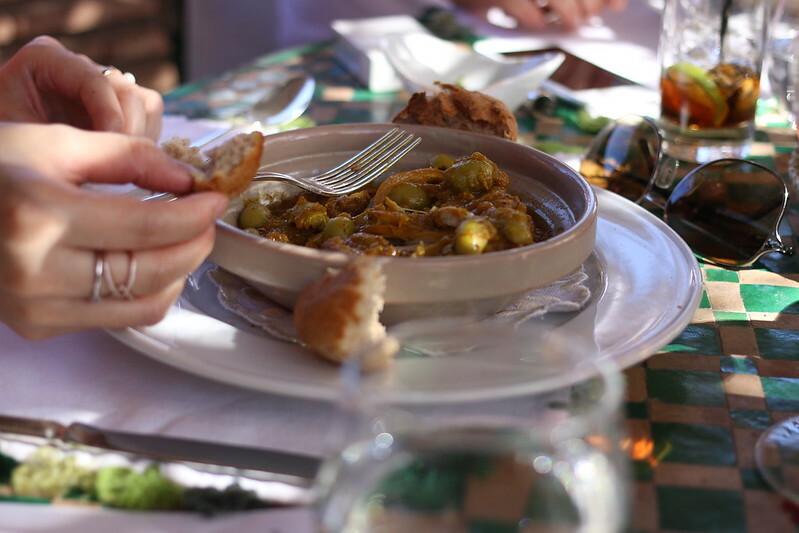 A particular favourite of mine was the chicken and preserved lemon tagine with green olives. Accompanied with the light, airy fresh bread, I barely managed to work my way through half of anything we tried. But it wasn’t through want of trying. 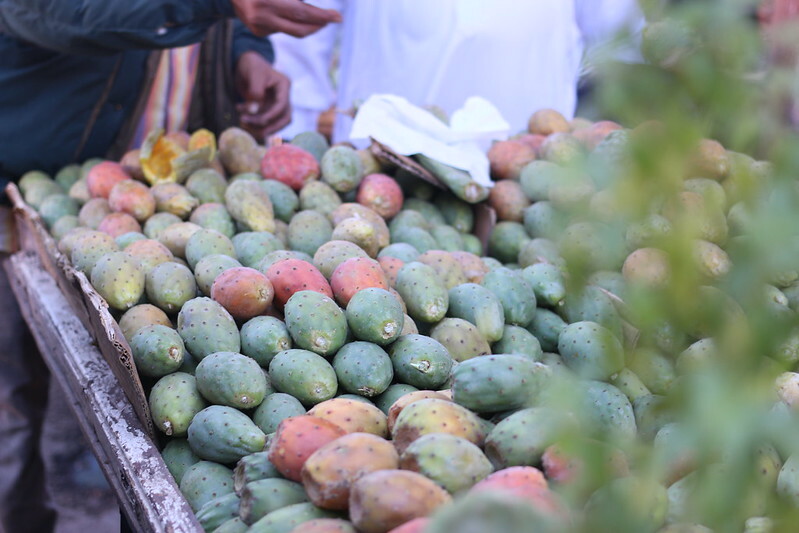 With an almost Mediterranean fruitiness and plenty of fresh vegetables, the traditional food we sampled was on another level. 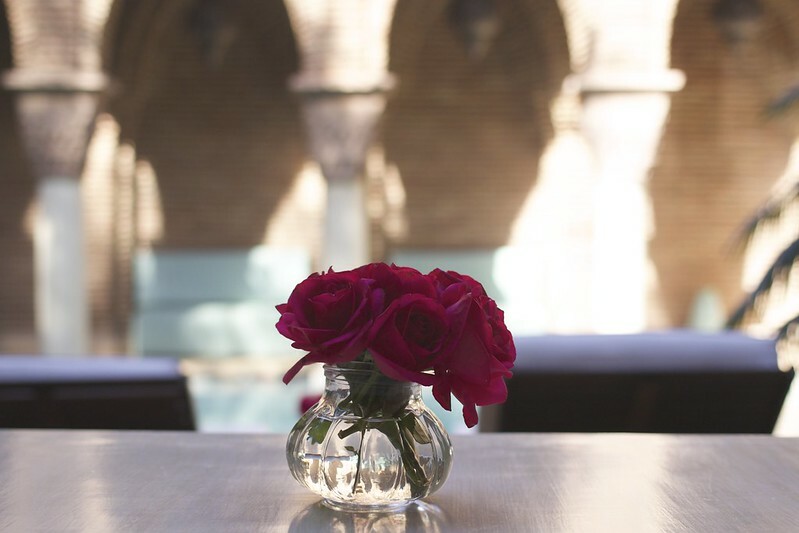 Sheltered from the burning sun, we sat sipping on ice cold Moroccan rose discussing our plans for the rest of the day and making plans for more exploring. 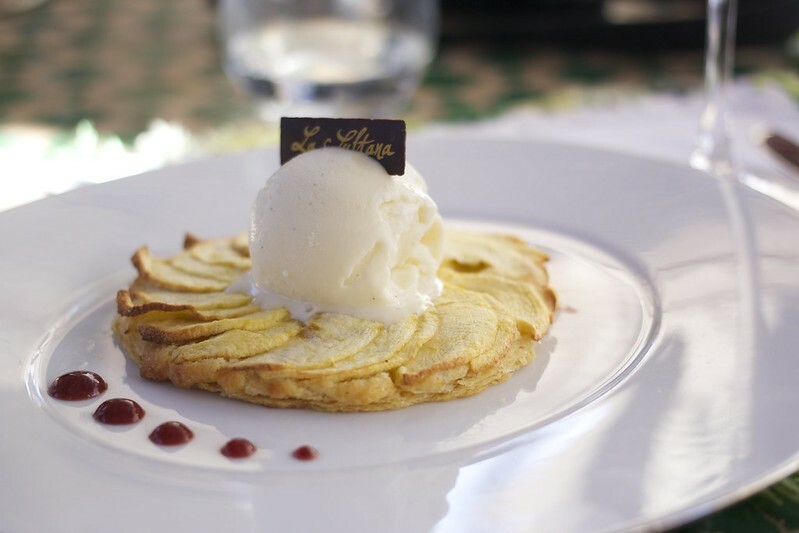 After a busy morning though, the luxury of La Sultana felt like the perfect escape for a couple of hours rest. 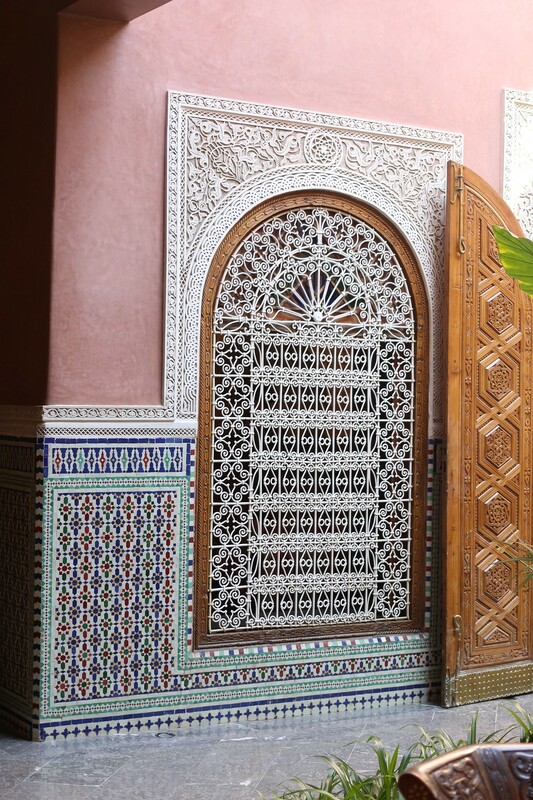 With a beautifully ornate hammam too, it would be the perfect place for a luxurious weekend away. Maybe next time. 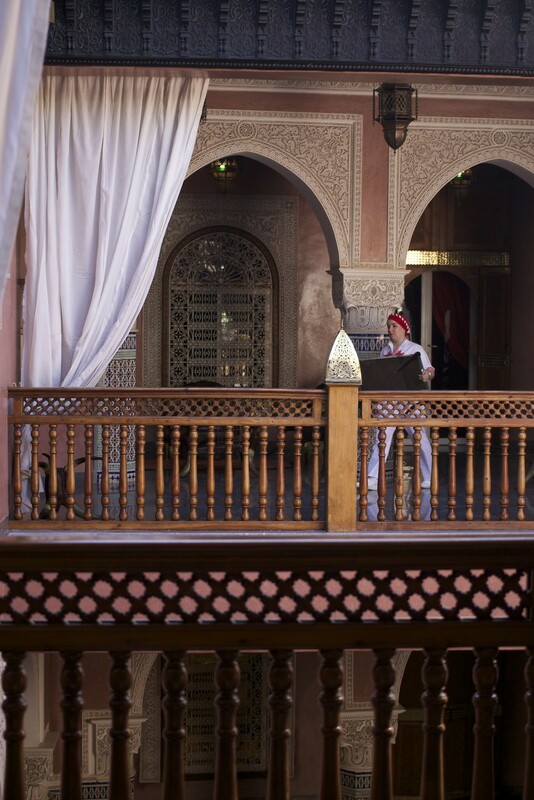 Surely you can’t claim to have had an authentic taste of Morocco without indulging in a hammam visit? 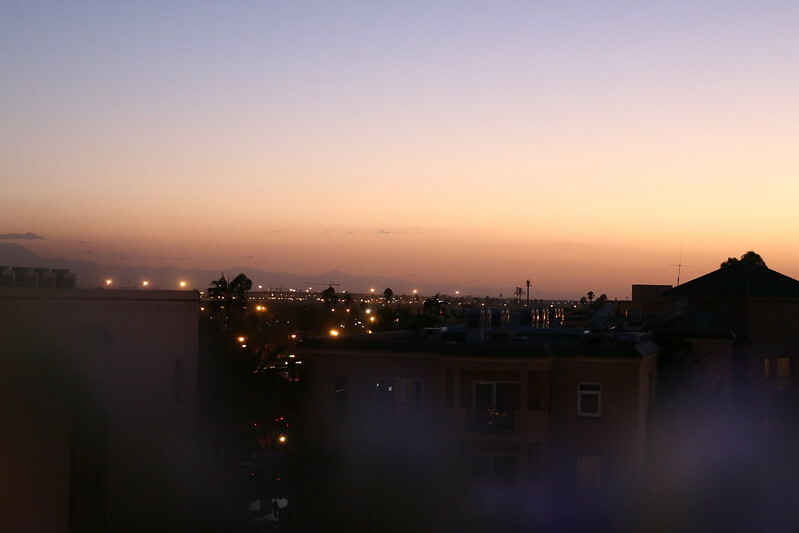 If there was one thing I struggled with about my trip to Marrakech, it was taking it all in. The sights, the smells, the sounds. Our long weekend was crammed with activity and yet I left feeling like we had barely brushed the surface. 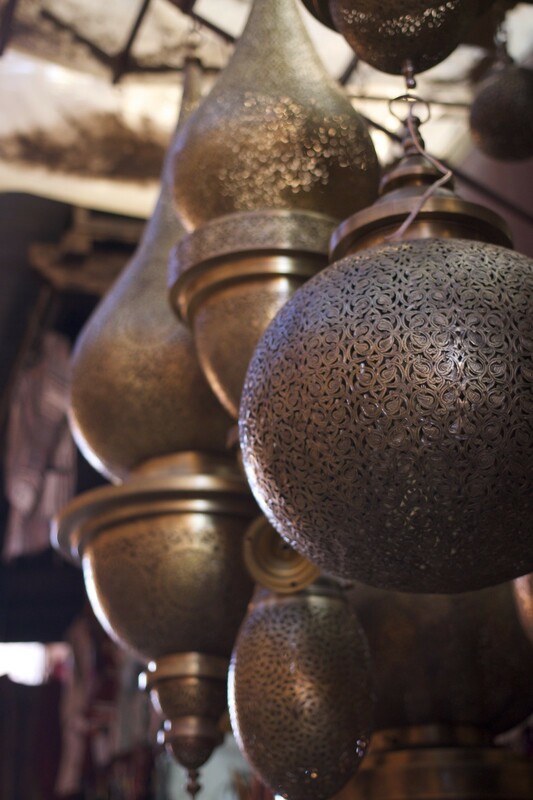 I wanted to claw back more time to spend meandering through the medina, and speaking to local craftsman. I wanted more time to go back to the square at night, to see the place come alive with traders and sample the delicious smelling street food. Despite spending the long weekend completely intoxicated by the city, time felt as though it had been on fast-forward. We’d raced across the city visiting lush gardens ike, joking about camel rides (but never going on one), eating (a lot of bread), drinking wine like it was water (but without falling over) and seeing so many beautiful places. As well of course as meeting a great bunch of funny, intelligent people that I got to share my weekend with. 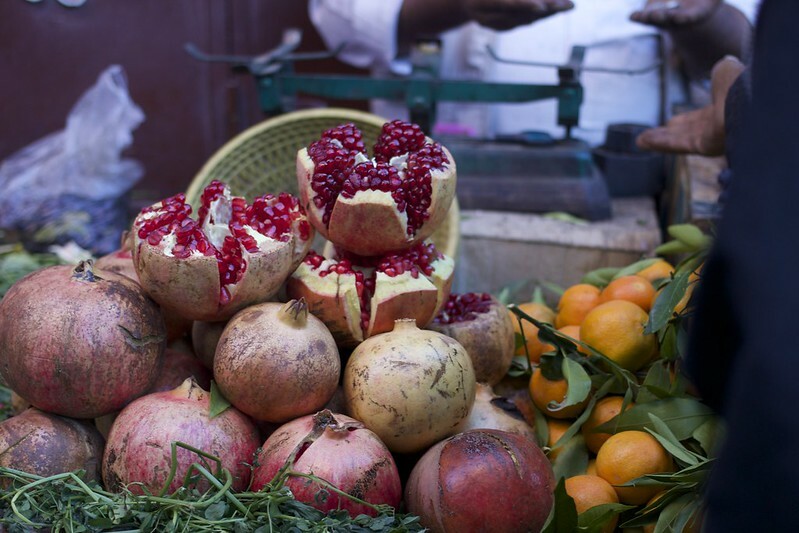 After a pretty trying year, my trip to Morocco reawakened the same feelings that I had in New York. The world is such a big place, and there’s so much of it to explore. 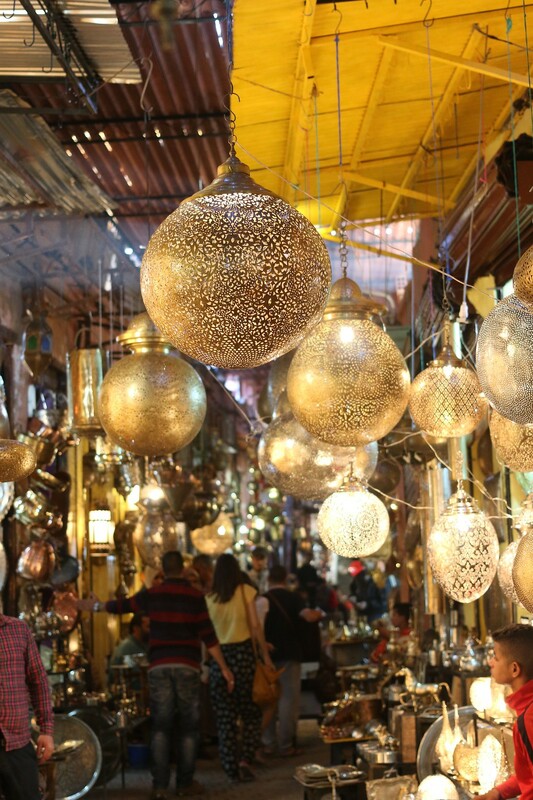 Seeing the extreme luxury and depravity of a city like Marrakech, it’s hard not to feel a little overwhelmed. And of course you can imagine that after the sensory cocktail of the city, getting back to reality felt like a not so pleasant bump. Can I not just check out of real life and go be a travel blogger now? I’m ready for my next adventure. I’ve got 4 years left on my passport and (rather poetically) 4 years until I turn 30. As December creeps up and we reach the end of this year, if I’ve got any plans for the next 12 months, it’s going to be to collect as many stamps on those pages as possible. Special thanks to the Moroccan National Tourist office and Hôtel Naoura Barrière for inviting me to be their guest for the weekend! I had an amazing trip and it certainly won’t be my last Moroccan adventure. Go get those stamps, Hannah! I was really lovely to meet you, and hopefully we can spend some more time together on another trip soon, hey? Yes! You summed it up perfectly, loved the style of it.